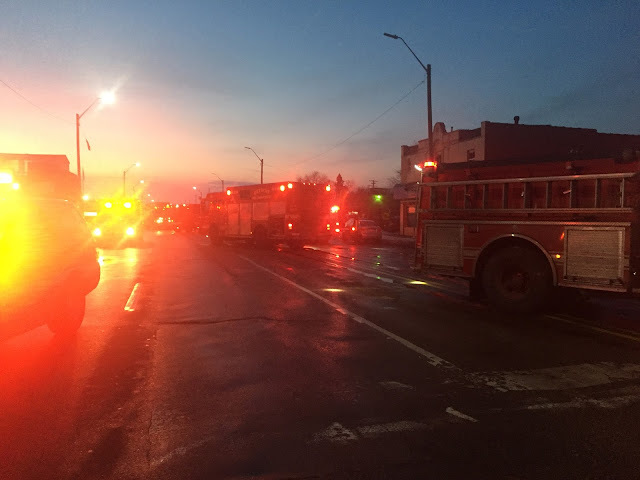 The Detroit Fire Department responded to a fire at West Warren Auto Repair (19020 W. Warren Ave), which is between Warwick and Artesian Streets. A total of eight fire trucks, two fire chiefs, and an ambulance were on site. The Detroit Police Department has W. Warren Ave. shut down to vehicular travel while firefighters finish their work. The cause of this fire is not known. More information as this situation develops.